Let’s face it, classical music isn’t for everyone. Yes, wedding planners, something as simple as listening to the right music can boost your productivity like you wouldn’t believe. Now I know this isn’t going to suit ALL of you but there is too much convincing research around the “Mozart Effect” to leave him out. The effectiveness of this music is all about the beats-per-minute and a study by the College Entrance Exam Board Service found that it activates more of the brain. In turn, classical musical pieces can relieve stress, improve communication and increase efficiency. Unfamiliar music, without dialogue = less distracting. For me, this is my go-to playlist. Whether it’s sounds of the sea or noises of the jungle, it helps me mask audible noises and people talking around me, decreasing possible distractions. Researchers at Rensselaer Polytechnic Institute discovered it increases the listener’s mood and decreases their stress-levels. Furthermore, it enhances cognitive functioning and optimizing the ability to concentrate. Strange fact: the study also revealed that it must possess randomness. I’m sure we’ve all heard of beta or alpha waves, right? Well, listening to the waves cause a shift in our own brain waves, affecting our mental state. The different types of waves can help enhance your concentration or creativity, depending on what type of waves you are listening to. For example, theta waves produce periods of peak creativity, which is perfect for creating mood boards or brainstorming ideas! However, beta waves are BETA (see what I did there?!) for intense concentration and even motivation to start tasks. Endless emails? Simple spread sheets? Well okay, here’s where Bieber might actually come in handy! 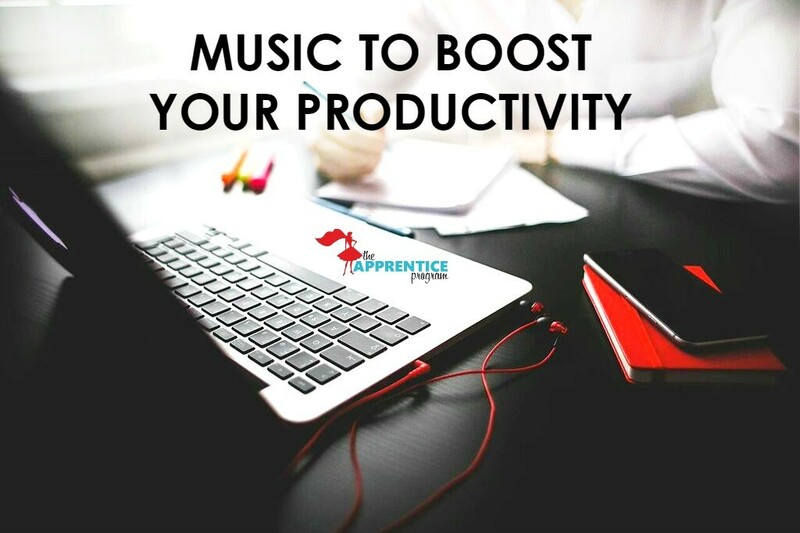 Studies completed by researchers at University of Birmingham in England demonstrated that ALL music is effective in raising efficiency in repetitive work. 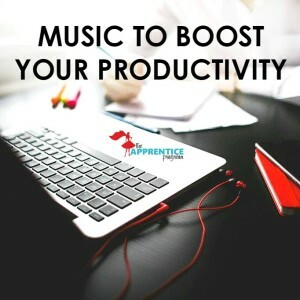 So, during tasks that you could probably do with eyes shut, try adding in some of your favorite tracks – it’ll make you work faster and make it feel less mundane! BEST FOR = emails, spreadsheets – ya know, the day-to-day wrangling of clients, vendors and staff requests! TRACKS FOR THE PLAYLIST = whatever suits your fancy! If you don’t have time to create your own playlist, keep an eye out for ours! We’ll be posting our fave playlists on here over the next few weeks!